Tensions ratcheted up in South Asia following the Pulwama suicide bombing against Indian police forces on February 14 and India’s retaliatory strikes against Pakistan. Although officials from the two countries met a couple of weeks ago, the meeting did not signal a definitive thaw in relations. The international community fears further escalation, in this moment or in a future crisis, which could lead to an all-out war between two nuclear-armed powers. While experts have focused on the risk of a kinetic conflict breaking out, they should give more attention to the potential for conflict in the cyber domain. In recent years, both nations have built up their cyber technology capabilities and arsenals. Activity in cyberspace could matter in two ways: first, contributing to escalation and helping to bring about a conflict; and second, being part of a “hybrid” kinetic and cyber conflict. The role of cyber in escalation or conflict could go far beyond the website defacements that accentuated recent tensions. The cyber element of conflict is an emerging yet understudied dimension of geopolitics, and experts must consider it when analyzing the latest security developments involving India and Pakistan and the future trajectory of South Asia. What role does China play in all of this? China enjoys good relations with Pakistan, a relationship that spans several decades. On the other hand, China’s relationship with India has been tumultuous, with relations once so tense that it led to the Sino-Indo War of 1962. Since then, the two nations have been embroiled in border skirmishes, and a rising India puts the entire region in a state of flux. 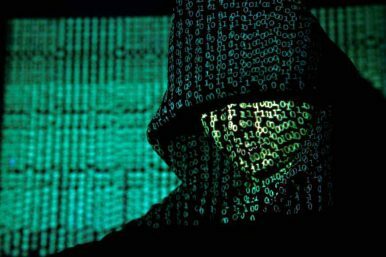 Many of the cyberattacks that India faces can be attributed back to China, as highlighted in a recent report to the National Security Council Secretariat by a department in the Ministry of Electronics and Information Technology. Following the Pulwama attack and the escalating tensions between India and Pakistan, China has sought to ensure a war does not break out. If a war did erupt, because of China’s close relationship with Pakistan, Beijing would be more inclined to offer support to Islamabad. This support could include cyber capabilities and actions, as China is far more advanced in this arena. Both India and Pakistan already engage in cyberattacks and espionage campaigns against one another. The already marred relationship can deteriorate further if both countries continue employing cyber technologies for offensive purposes. More research needs to be done to understand the cyber capabilities of each country, how each country plans to integrate these capabilities into their national security strategies, how cyber capabilities could play into escalation or conflict in the region, and how cyber-enabled escalation or conflict could be managed. Considering the risks of all-out war between these two powers and the importance of cyber capabilities to escalation and conflict in the region, researching these issues and equipping regional experts with an understanding of them, before cyber capabilities add fuel to an already tinderbox situation, is critical. Reda Baig is a Cyber Risk Associate at Good Harbor Security Risk Management and a graduate student at the George Washington University. Understanding the Latest India-Pakistan Meeting on the Kartarpur CorridorIndia and Pakistan: Living on Borrowed TimeDoes the OIC Have a Role to Play in India-Pakistan Crises?After the Pulwama Attack: Causes, Effects, and Lessons LearnedAn India-Pakistan Showdown at the United Nations 73rd General Assembly?